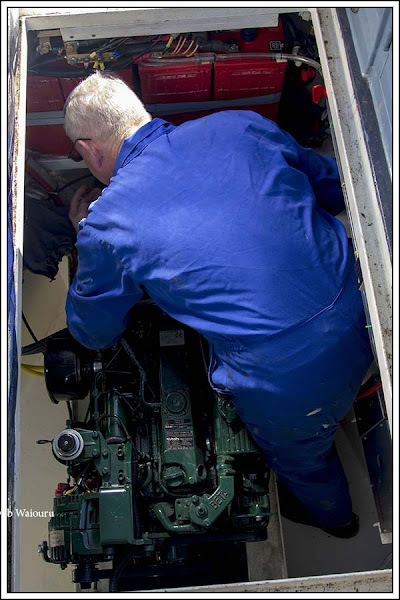 Jan called in the engineer to finish the work in the bilge and reconnect the diesel tank fuel sender unit. I couldn’t help notice how most of the narrowboat engineers appear to be old, fat and what little hair they have is grey! He had exactly the same problem as me when attempting to reach those awkward spots. At one stage I heard him complain “My Hams!” The bilge has now received a second coat of Hammerite. Last year I “blew” the engine fuel tank sender unit when I over pressurized it with the air pump. The gauge works on air pressure and needs to be recalibrated approximately once per annum. My error I erred in my judgement (remember, I don’t make mistakes) and applied too much air pressure too quickly. This damaged the sender unit and it had to be returned to the manufacturer for repair. Today it was refitted and calibrated. 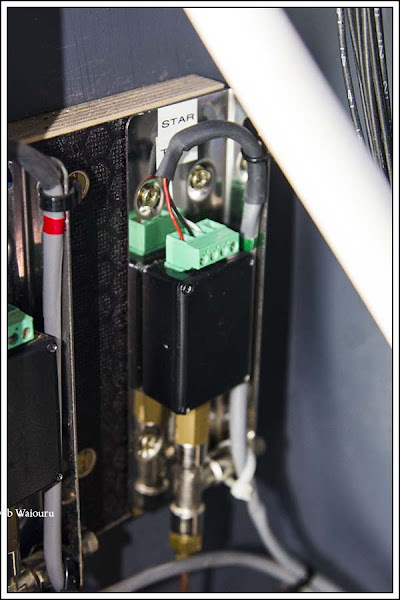 Ordinarily the fitting of the sender unit wouldn’t be that difficult however it is located inside the confined space of the control column. Fitting it really requires a young, flexible and right-handed person. I’m none of those things! Trying to get your left hand into the cavity and turn a screwdriver is nearly impossible. Note the foot pump for recalibrating the unit. Of course it would have been a simpler process if it had been the nearer unit but with my luck it had to be the furthest unit. Some of the screws are tiny and could easily be dropped somewhere into the bowels of the boat if great care and patience isn’t used. That’s another weakness of mine! I found the screws went in better if I stuck my tongue in the corner of my right cheek and made small grunting sounds. 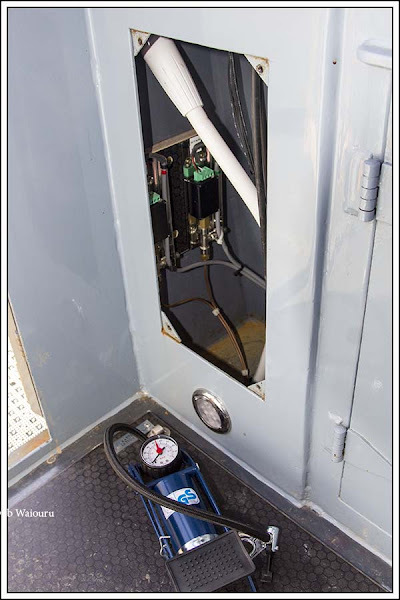 Once the unit was fitted I connected the foot pump and with some trepidation began the processes of pressurizing the system. This time I took it slowly and managed not to damage the unit. As access to both sender units was available I took the opportunity to re-calibrate the second unit. Now both fuel gauges are accurately displaying the fuel levels in the engine and heater tanks. 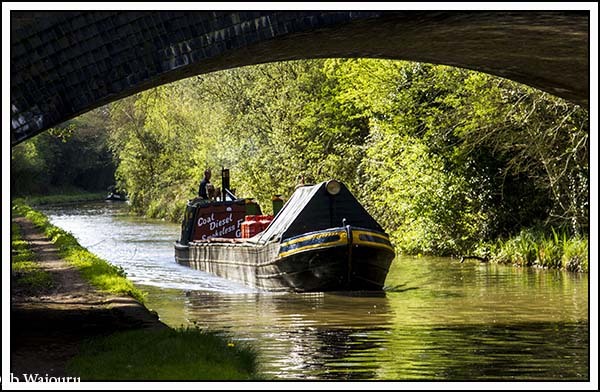 There was time for a circular walk in the later afternoon sun so Daniel and I headed along the towpath to Newbold returning via three local footpaths. 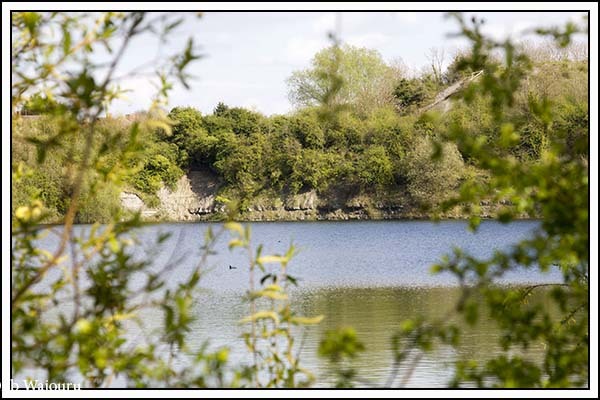 The former Newbold Quarry has been turned into a lake and recreation park.